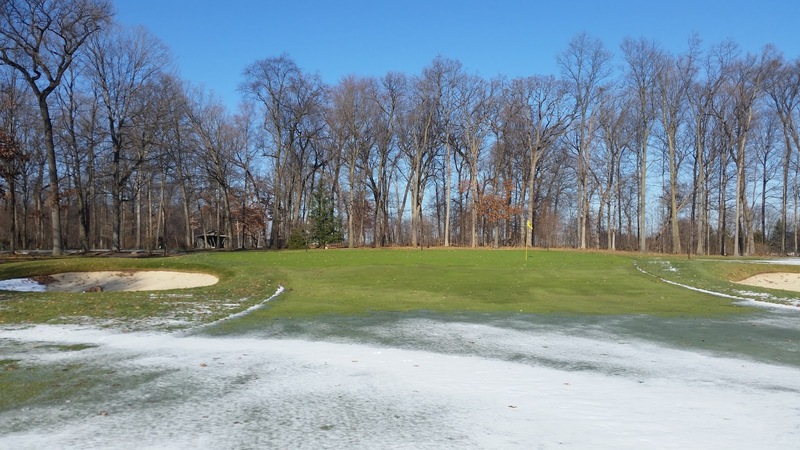 Temperatures that are 25 degrees above normal are forecasted for the coming weekend, and a few of you have inquired at the golf shop if the course will be open this weekend for play. Although it may seen like a good day on the surface to get the sticks out, as always the story down below tells a different picture. Soil temperatures warm much slower than the temperature of the ambient air. As the frozen ground thaws from the top down it becomes quite soft in a hurry. The resulting moisture from the excessive rains we have received in the last couple of weeks has no where fast to go, even with our well-draining sandy soils. 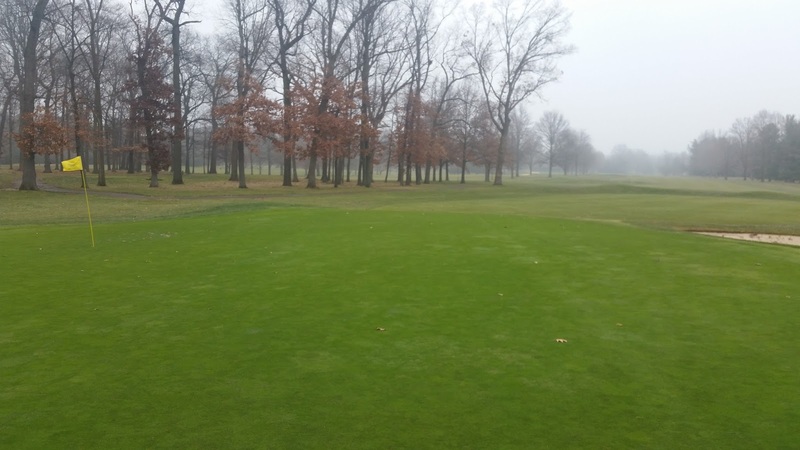 Rutting can also often take place with cart and foot traffic (both golf and maintenance) creating additional maintenance and wear on the turfgrass that is not needed this time of year when the turf is not actively growing. It is quite easy under the current conditions to create footprints, even on greens. Root shearing can also take place, where traffic can cause turf roots to rip from the crowns of the plant due to the soft conditions above. 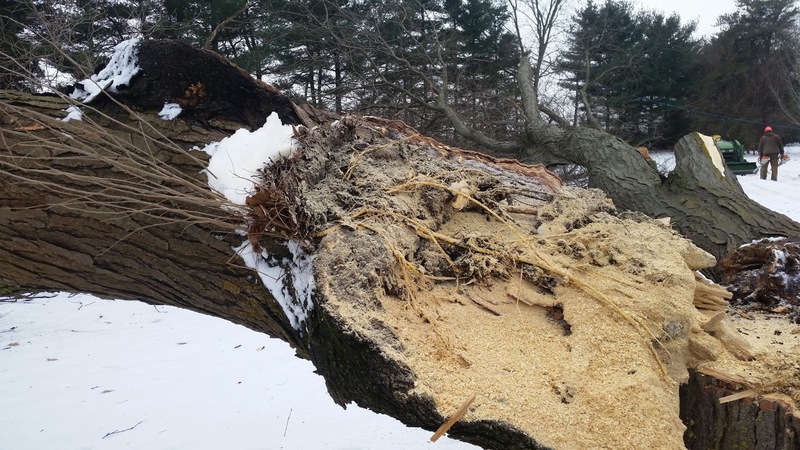 Damage can stay hidden from this until later on in the spring when soil temperatures become more optimal for growing turf. 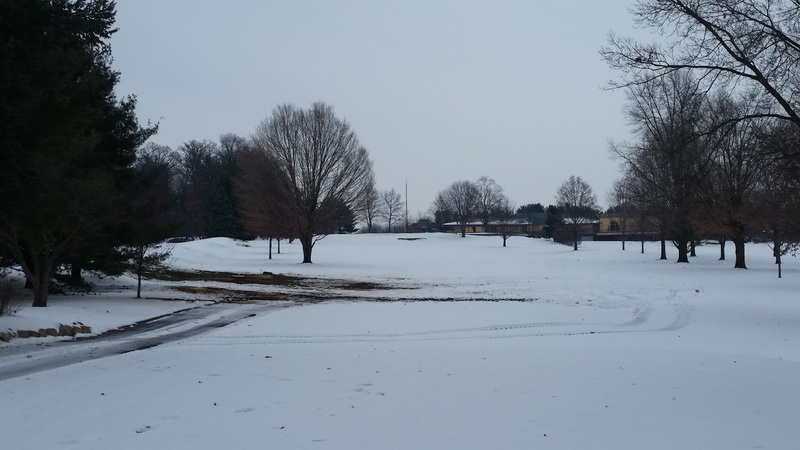 For these reasons, the golf course will remain closed this weekend. 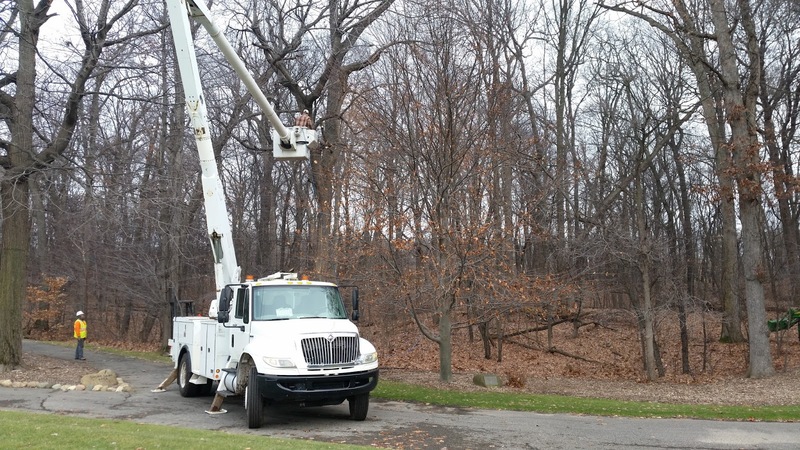 This warm wave of weather has also hampered our outdoor work where we have to pick and choose where we can perform our duties without causing more harm than good. 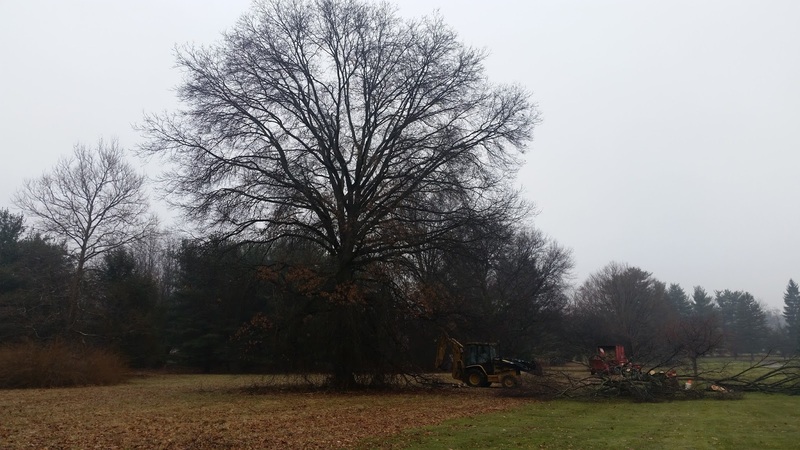 Much of our work this week has centered in native areas and along the US 20 fence line. The pictures below depict some of that work. 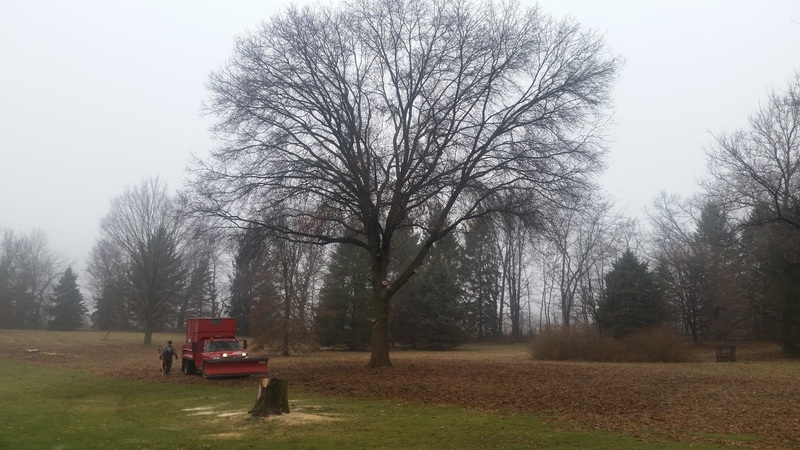 Before picture of a large pin oak in 12’s native area. habit of the pin oak. preparation of the halfway house project. the top growth of the more desirable beech. If you have any questions, please contact me at ryan@elconacc.com. Thank you for your understanding, and have a great day! Happy New Year to everyone, may it bring all of us good golfing and great weather! 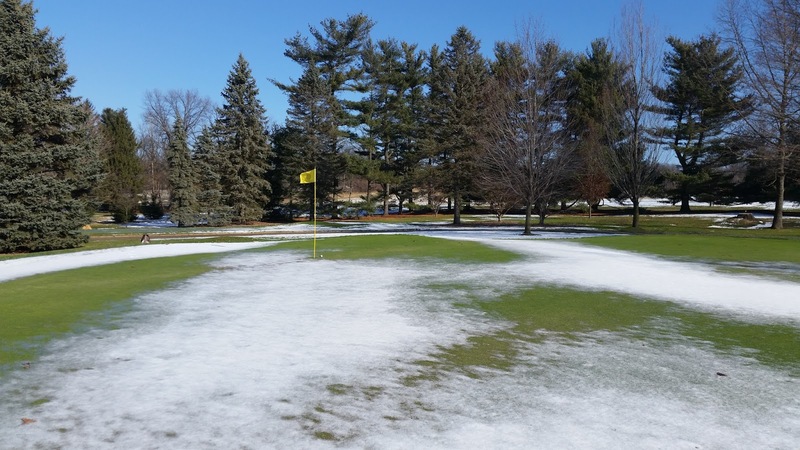 The golf course has experienced 2 heavy snows, and 2 subsequent melts in the last month. 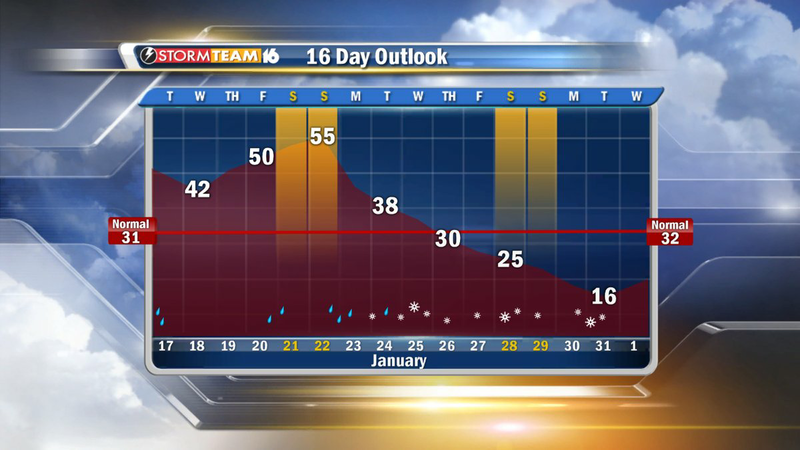 December’s temperatures ranged from a low of -14 to a high of 58. 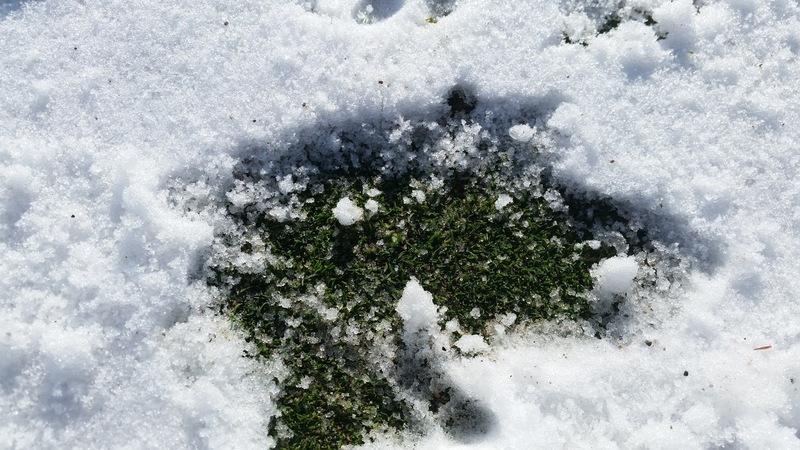 Turf is hanging in there nicely thanks to timely melting of any ice formation and nice insulation from snow cover during those very cold nights. So far, so good! 3 Blue Spruce were removed on 9 tee to better reveal the nice Sugar Maple on the left, as well as better scatter cart traffic at the end of the asphalt path. 2 Locust were removed on the right side of 15 for their knack of producing much litter in the fairway. 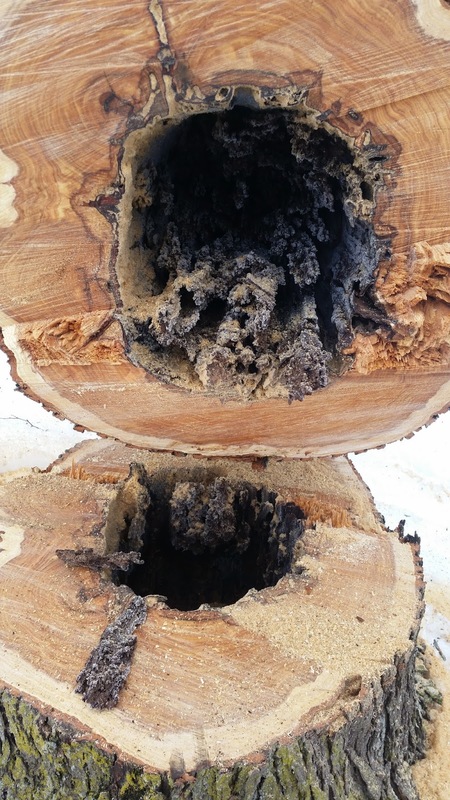 The locust closest to the fairway was rotting in the trunk, and the picture above shows a sassafras sapling growing inside the crotch of the tree. The locust to the right of the blue tee on #4 was removed. This, along with several other locusts on property, were impacted by the Imprellis herbicide. 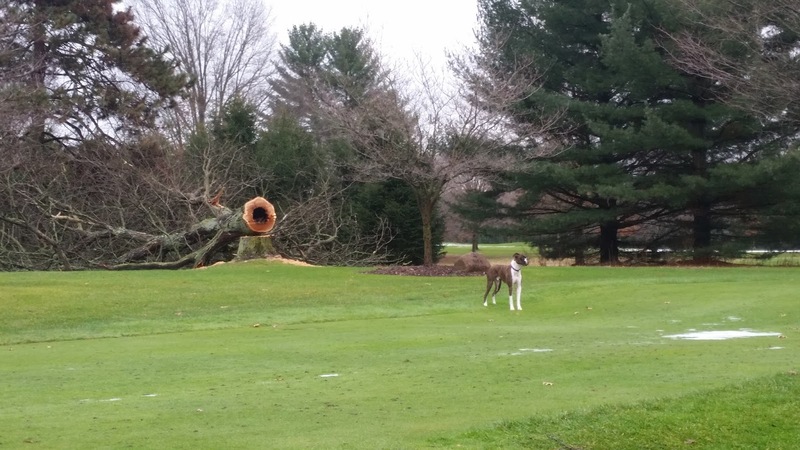 Unknowing to any of us, this tree was severely rotten inside, and posed a danger to anyone on that tee if the winds were correct. Another picture of the locust removed on 4. 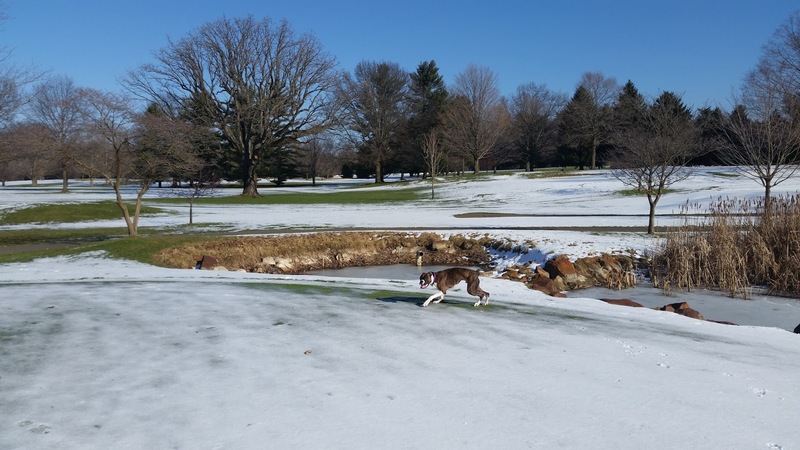 Finally, I included this picture of Bowser and I on 3 green, not only to show everyone that we still had a bit of snow on the ground, but to show off Gus (the large burr oak to the right of 5 green). 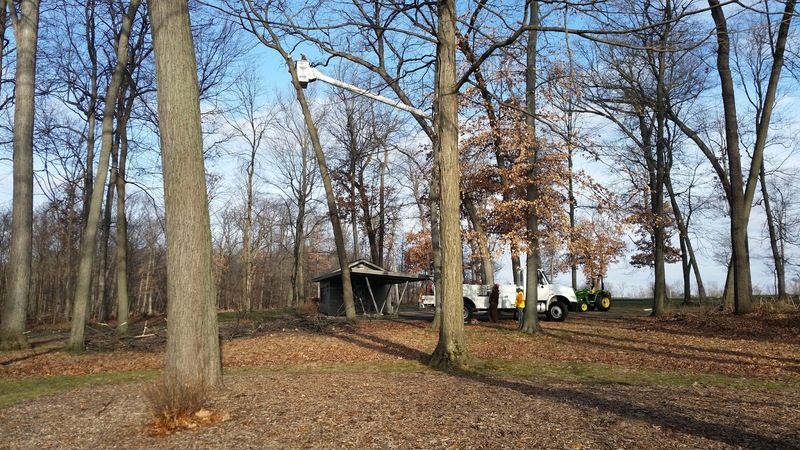 Thanks to consulting with 2 of Northern Indiana’s more knowledgeable tree experts, we have a plan in place to maintain Gus’s presence at Elcona for many years to come. I will have a blog article on that in the coming weeks. 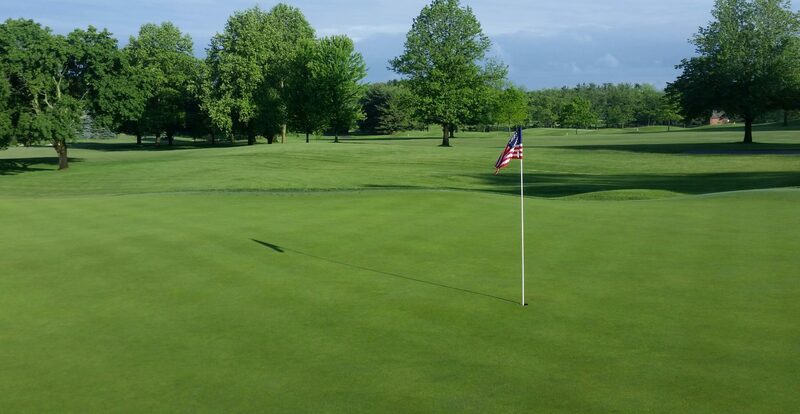 If you have any questions about the golf course, please feel free to email me at ryan@elconacc.com. Again, Happy New Year to everyone and I look forward to what 2017 brings!